By Bobbie Leigh When Joshua David and Robert Hammond met for the first time at a community board meeting in 1999, they were dumbfounded. Not one other person was there to protest the destruction of a decrepit, elevated rail structure that snaked around the far West Side of Manhattan. 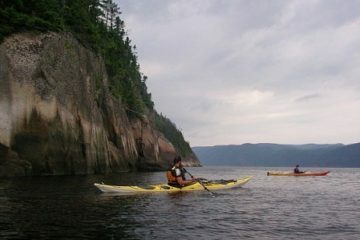 By Steve Jermanok Writer Walt Whitman described the waters of Quebec’s Saguenay Fjord as “dark as ink, exquisitely polished and sheeny under the August sun.” That’s exactly the time of year you’ll be headed to Saguenay on a weeklong camping trip with the highly reputable sea kayaking outfitter, H2Outfitters.